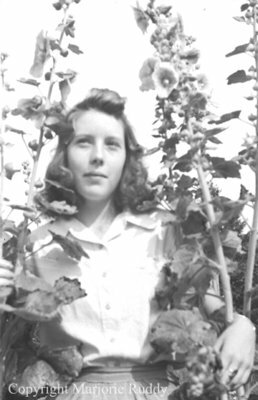 Black and white negative of an unidentified girl standing between two large flowers. She is looking away from the photographer. Unidentified Child in Flowers, c.1945, Marjorie Ruddy. Whitby Archives A2013_040_856H.